↑ "World Record: Apa Sherpa's Everest summit no 21". http://explorersweb.com/everest_k2/news.php?id=20142. ↑ 8000ers.com. Ascents - Everest (without supplementary oxygen). http://www.8000ers.com/cms/download.html?func=startdown&id=154. ↑ "New Everest Record is Confirmed". 2004-09-16. http://news.bbc.co.uk/2/hi/south_asia/3662040.stm. 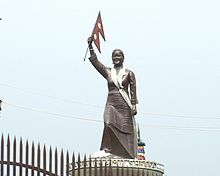 अन्तिम पहुँच तिथि: 2012-02-04.